The U.S. decision to expand NATO eastward may drag America into a new Cold War. The American move to include the states of east-central Europe in NATO’s ranks was made largely in response to what U.S. officials see as a dangerous development–a more assertive, less cooperative Russia. Russians see this neo-containment strategy differently. They acknowledge that from Washington’s perspective the American-Russian “partnership” has deteriorated, as is evident in disagreements over Bosnia and other matters. But they would point out, with considerable justification, that the American idea of a partnership is one in which the junior partner–Moscow–accepts the preferences and the economic and political beliefs of the senior one–Washington. Russia has discovered that this kind of partnership means that it is not allowed to assert its national interests in the former Yugoslavia and elsewhere without being portrayed as an unstable threat to global peace. In this context, eschewing such a partnership is understandable and hardly dangerous. But expanding NATO–a military alliance organized and dominated by the United States–is dangerous. The Cold War ended with the dissolution of the Warsaw Pact and the breakup of the Soviet Union. Moscow agreed to quit eastern Europe and to allow German unification–a development that, given the history of German-Russian relations in the 20th Century, Moscow regarded with trepidation. Moreover, Russia acceded to the continued existence of an alliance that had been hostile to it and even agreed to the inclusion of the newly unified Germany in that alliance. In return, Russia received assurances from the United States and its allies that they would not take advantage of this situation to tip the geopolitical balance, thus potentially threatening its security. As Russia sees it, the United States has reneged on this bargain. Of course, U.S. policy-makers argue that no democratic government in Russia could regard the enlargement of America’s sphere of influence in east-central Europe as a hostile act and that only authoritarian Russians could harbor suspicions about NATO’s intentions. Furthermore, if such Russians came to power, so this thinking goes, the United States would be justified in transforming NATO into an instrument of a new containment strategy. Those who make these arguments assume that if the United States regards the expansion of NATO as a benign act, Russia has an obligation to view matters the same way. Any deviation from that “proper” perspective is evidence of faulty thinking, or worse, evil intent. 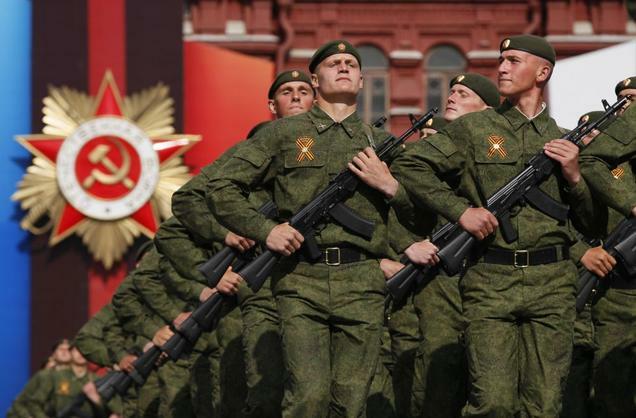 But across the political spectrum, Russians have good reasons to worry about an enlarged NATO. In the post-Cold War era, NATO remains a military alliance with impressive capabilities. Even Russians who are not closet aggressors are anxious about having such a powerful military association perched on their borders. They wonder, for example, what NATO’s response might be if Moscow opposed Western policy toward the former Yugoslavia, or toward Ukraine, where Russia has longstanding ethnic ties and other interests. An enlarged NATO bloc would, at the very least, be an intimidating presence. It would guarantee that Russia would have little choice but to go along with the alliance’s policy preferences. Any great power would chafe at such constraints and the humiliating subordination they symbolize. To place the matter in perspective, imagine what the U.S. response would be if a Russian-led Warsaw Pact, heretofore confined to eastern Europe, decided to exploit a temporarily weakened American position by incorporating western Europe and Canada into an enlarged alliance. America would interpret this action as an encirclement strategy. We should not expect Russia to view an expanded NATO any differently. NATO expansion, as its advocates acknowledge, is a means to preserve and consolidate America’s military and political leadership in Europe. But Russia, a European power, must be a significant player in the continent’s international politics and should not be excluded from the councils of Europe, as will be inevitable if the U.S.-led NATO becomes the dominant security organization on the continent. Moscow has thus advocated that, in the post-Cold War era, Europe’s security not be tied to Cold War institutions but to broader organizations, such as the Conference on Security and Cooperation in Europe (now known as the Organization of Cooperation and Security in Europe), in which Russia plays an important, though not dominant, role. Why, Moscow legitimately asks, must Europe’s security remain the responsibility of an organization run by a superpower across the Atlantic? Forty-five years ago, the French commentator J.J. Servan Schreiber defined America’s role in Europe: “When a nation bears the responsibility for the military security and the economic stability of a geographic zone, that nation is in fact–whether it wants it or not–the head of an empire.” Whatever America’s motivations, for the United States to expand its imperial role in Europe cannot help but alarm Russia and thus create an enemy where none now exists.